The answer is – pretty darn good! 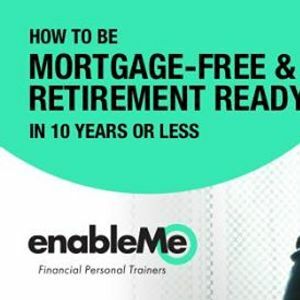 But rather than buying a lotto ticket and crossing your fingers - invest in a ticket to Hannah McQueen’s 2019 seminar, ‘How to Get Mortgage-Free and Retirement Ready in Ten Years or less’ – and learn how to make it happen! Hannah’s bringing this must-see seminar to Auckland's North Shore on Thursday the 4th of April 2019. Tickets are just $20 for a single entry, or $30 for entry for two - OR an earlybird price of $15 for one and $20 for two applies if you book before the 31st of January 2019.